Despite writing little about it I am a great admirer of landscape and Capitol Hill is a fabulous place to explore landscapes both grand and intimate. One of my favorite Capitol Hill landscapes, and the first of what I hope to be many blog posts on parks, take full advantage of our neighborhood’s surname and presents one with a grand view of Lake Washington and beyond. 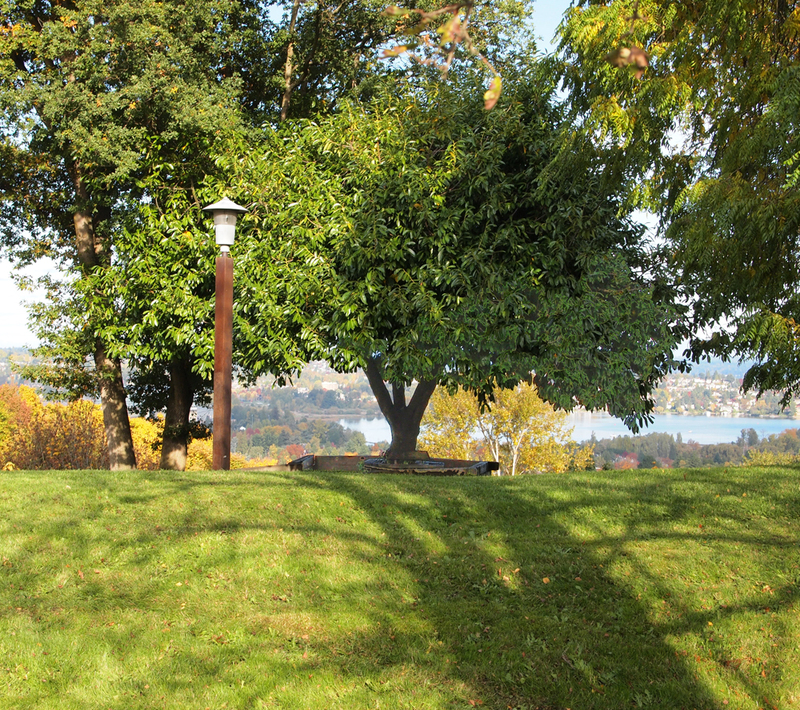 Named after one of Seattle’s very first European settlers, Louisa Boren, Louis Boren Overlook (park) comprises a little over seven acres, most of which are on a slope connected to the much larger and wooded Interlaken Park. The park’s real treat is, of course, its view. In any season, and with a clear sky, the democracy of our Seattle park system reveals itself giving to us all views that are typically reserved to a select few. The view is particularly captivating if you are fortunate enough to catch it on a clear winter’s day, when sunlight bathes the freshly fallen snow in the Cascades, distinguishing their noble profiles and as it did on a clear and cold morning January 2nd, 2013.